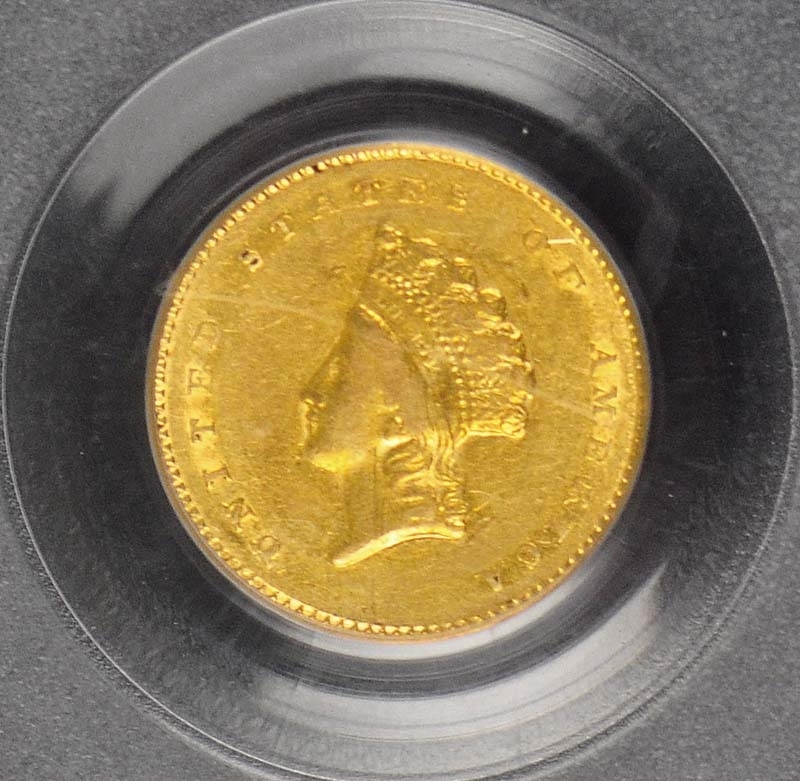 The 1855-O gold dollar is moderately rare; being the most common Type 2 from a branch mint. 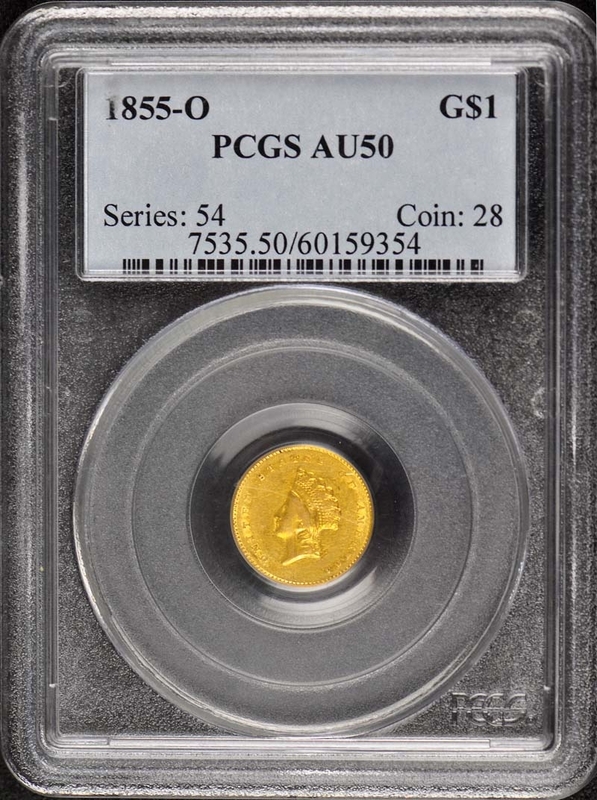 Although the 1855-O can be found with some effort; remember that its mintage is less than 1/10 that of its Philadelphia counterpart. Interestingly; the current population reports reflect about the same ratio of known specimens from the two mints. 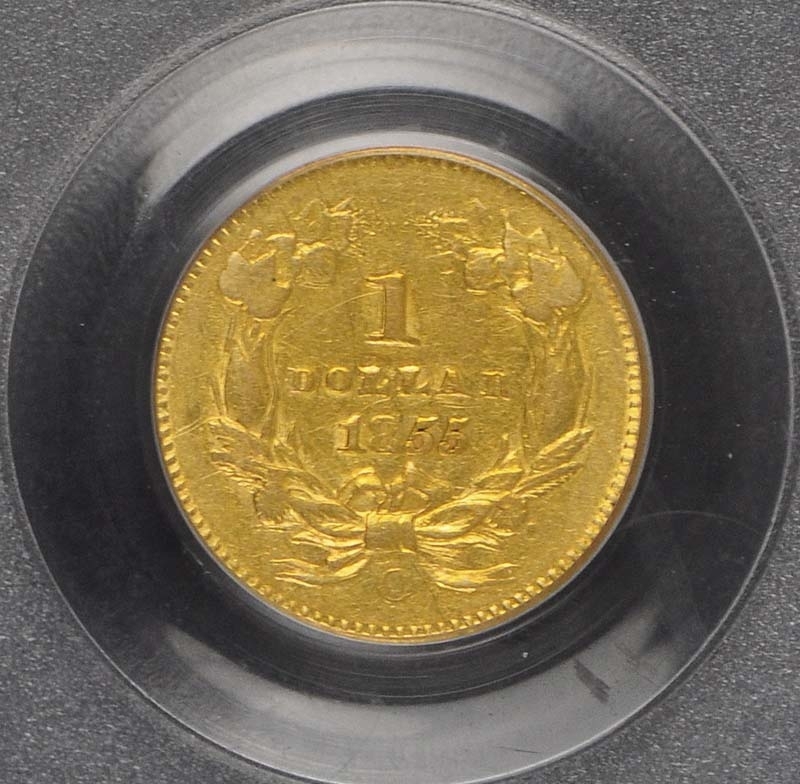 The quality of striking for the issue is above average for a branch-mint coin of the era; but die clashing is commonly seen. The authors have also seen many that are curiously prooflike in appearance. 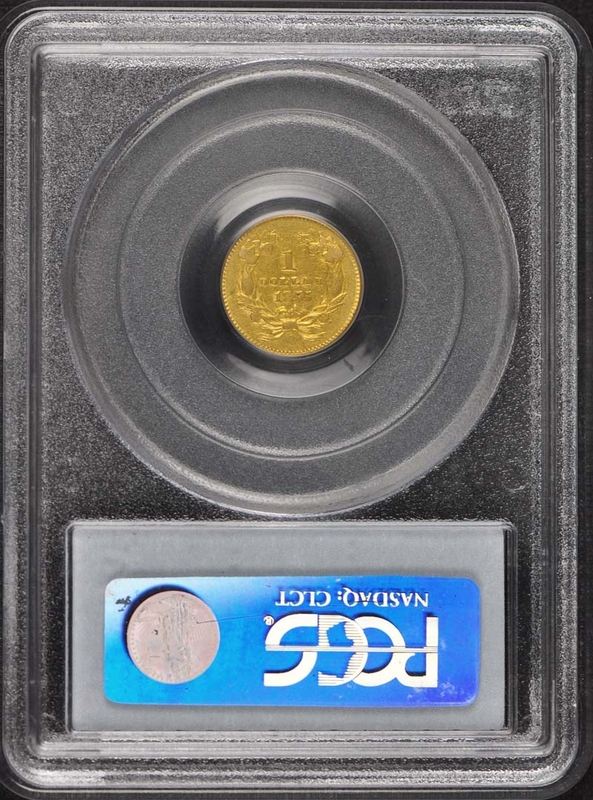 Most coins are well circulated and the date becomes much rarer in the higher states of preservation. Currently; no examples have been certified above MS-64.